Eliphaz, March 2005- male, J.Meyrav et al. Nizzana, Western Negev - November 2010. Y.Koren, U. Adad. Just arrived back from another highly successful spell in Southern Israel with Birdfinders. 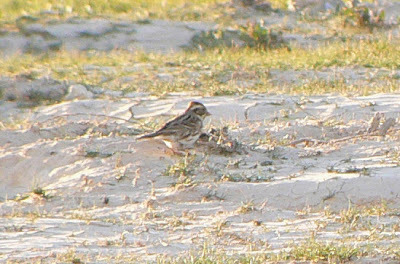 Numbers of common migrants appeared to be very low during the our entire two weeks stay so it was especially surprising to discover this Rustic Bunting in an unlikely looking patch of open desert close to the Ovda Valley. 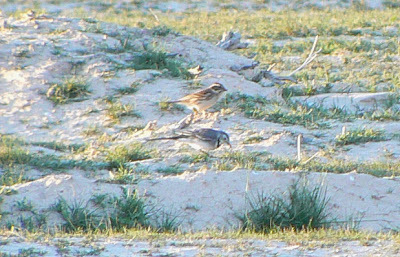 Kudos to group participant Nevil Fowler who spotted and identified this bird from the main road (Route 12) as it fed with White Wagtails. 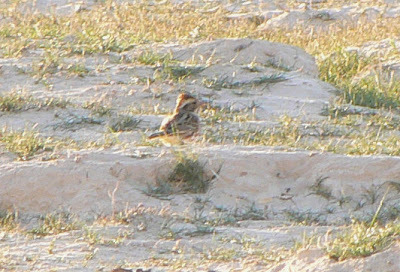 This was only my third Rustic Bunting in 22 years of visiting Israel, the others being at Km19, Eilat in November 1998, and a male found by Jonathan Meyrav at Eliphaz in March 2005. Rustic Bunting - Km 67 by Route 12, Ovda Valley, Eilot Region, November 28th, 2012. My last post before heading out to Israel for a couple of weeks with Birdfinders. Gill - This morning produced a couple of cool surprises in the yard, namely a Winter Wren and a calling Pine Grosbeak, the latter very much part of the current incursion of irruptive northern finches. 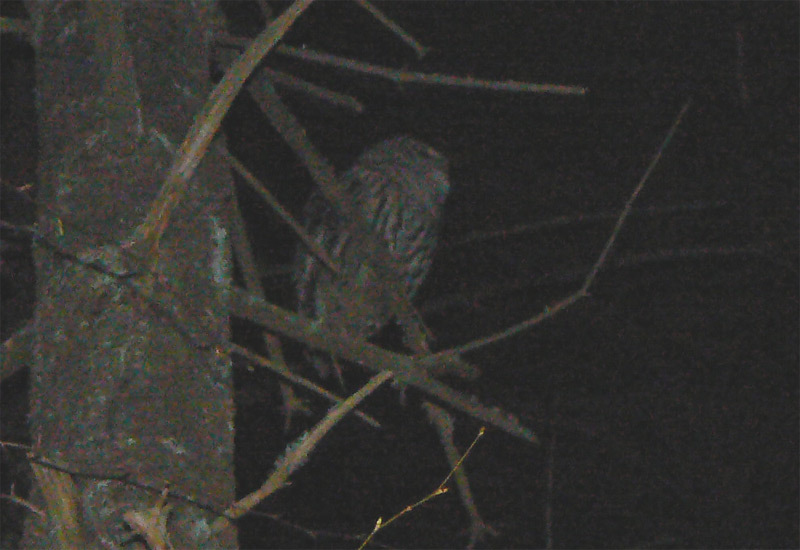 Barred Owl mania goes on with a pair on Barney Hale Road at about 03:40 hours on Nov 10th and one in a yard on Boyle Street on the evening of Nov 11th. 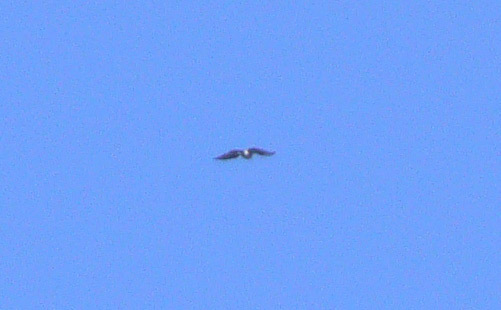 Close to the same yard on Nov 12th was a hunting juvenile Northern Harrier, and there was a Peregrine near Upinngil on the same date. Elsewhere Winter Wrens and American Woodcocks have been present on most days on our neighbor's property off Mountain Road. 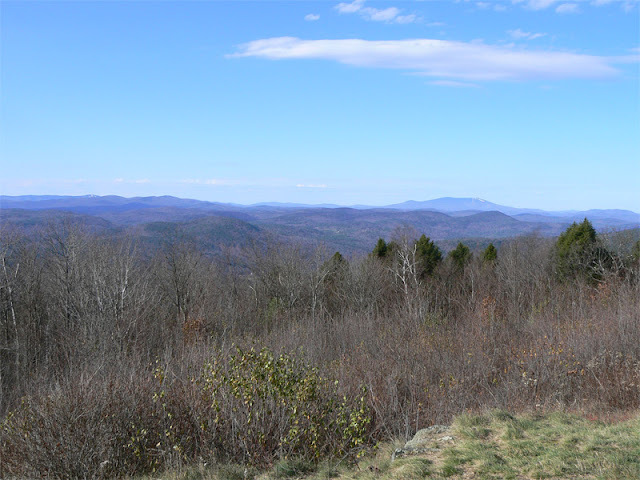 This morning I traded my usual 'tour' of Barton Cove for a visit to Putney Mountain in Vermont. There I joined a band of dedicated hawk counters hoping for a decent push of south-bound raptors after the recent nor'easter. 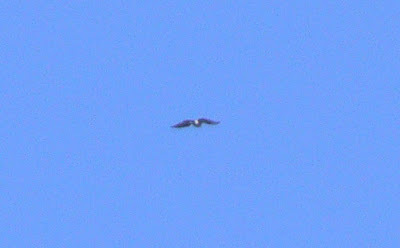 It also happened to be the last official count day of the season which may have been telling in the small number of migrant raptors seen. In the event, my personal tally was a mere half-a-dozen Red-tailed Hawks over a two hour period. 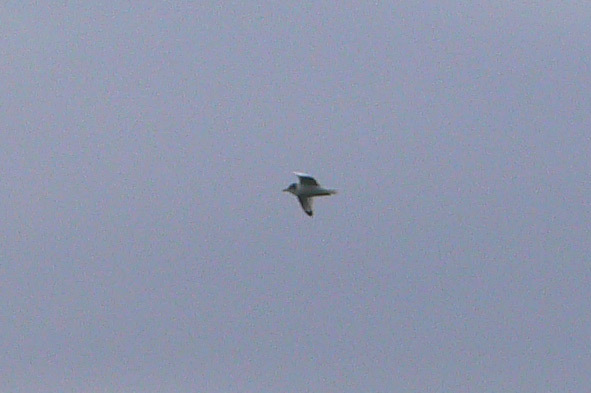 But the morning did yield some goodies, namely two fairly prolonged sightings of Northern Goshawk, a species which I only very rarely encounter in Massachusetts - averaging about one per year over the last five years or so. Two birds in one morning was pretty mind blowing for me but my field companions seemed quite used to them. Irruptive finches also featured with five Common Redpolls (1, 4), a Pine Siskin and a superb male White-winged Crossbill. Also, apparently I missed a male Pine Grosbeak which passed the mountain about an hour before I arrived. Very much in keeping with irruptive finches, I had my first-of-season Common Redpolls over our house in Gill this morning which, unfortunately, did not come into the Nyjer seed feeders though they did look 'interested' for a brief period. 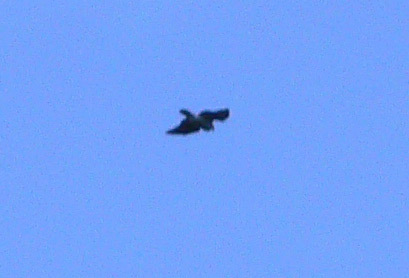 Northern Goshawk - (adult) - A real 'beast' of a raptor with stocky proportions and tapered wing tips. 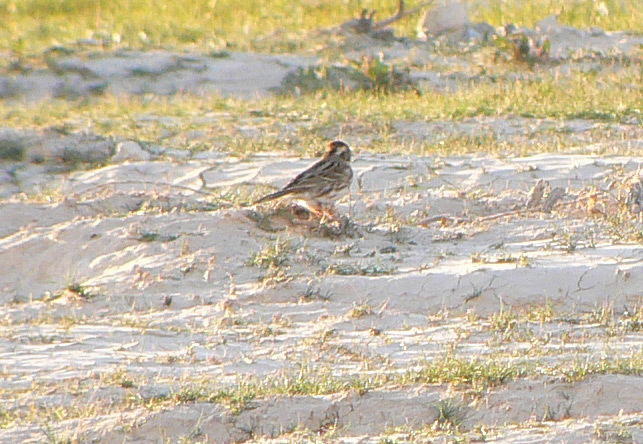 This bird looks especially heavy and it appears to have a full crop. 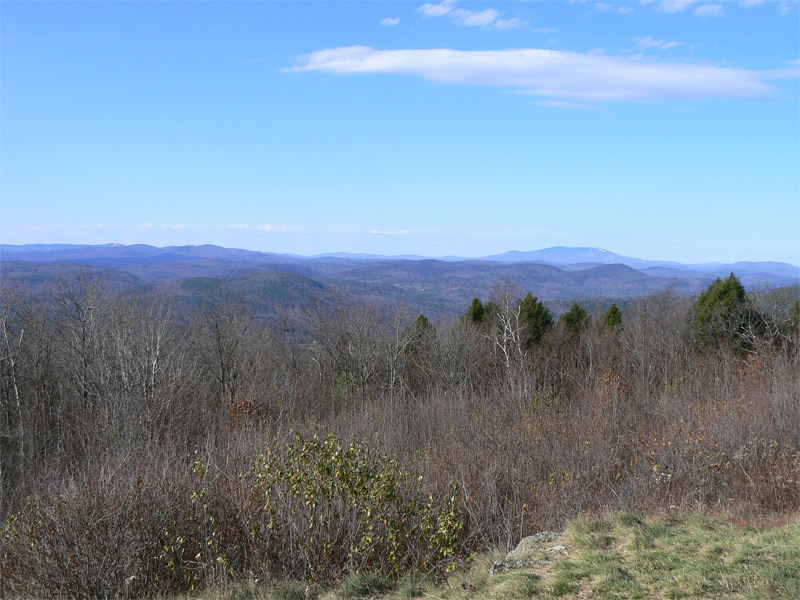 Putney Mountain, VT. November 9th, 2012. Northern Goshawk - (adult) - A second bird.. Putney Mountain, VT. November 9th, 2012. Barred Owl - Gill yard, Franklin Co., MA. November 8th, 2012. Panasonix Lumix FZ7. Matan (just five years old) spotted and identified this one from the sofa in our living room. It lingered just long enough for Susannah to take a few pics through the living room window using my camera! 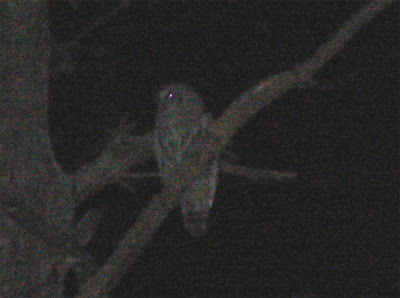 The extra-ordinary, near daily sequence of Barred Owl observations in Gill goes on. 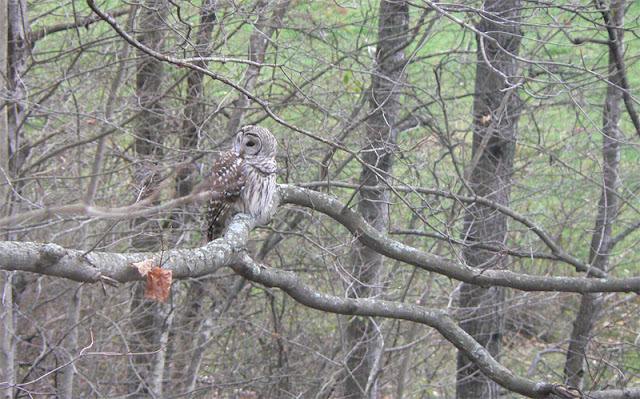 We've heard them in and around the yard before, but this was our first sighting of a Barred Owl actually in the yard. It was most likely drawn to the activity around our bird feeders and provided the whole family with a very exciting start to the day. With a major Nor'easter approaching New England I wanted to take advantage of a calm night and do some owling before the storm hit. I chose our neighbor's property off Mountain Road in Gill, beginning in an area of predominantly White Pine, actually a spot that had been ravaged by a micro-burst about three years earlier. Several stands of dense, young White Pine exist within this area, and it was a spot that I'd always wanted to try for saw-whets. Barred Owl - this bird flew in within seconds (quite literally) of starting a sounding recording of Northern Saw-whet Owl. After that, it just sat around and watched me imitate saw-whet calls for the next 15 minutes! The Barred Owl never called, but its head turned instantly when a real saw-whet gave a 'skew' call from a dense stand of White Pines. It remained perched watching me most of the time, then another saw-whet called from the opposite side of the snowmobile trail, this one giving a drawn out 'whine' call. A few minutes later the first saw-whet reacted with a rapid-fire burst of muffled 'skew' calls, perhaps five or six notes in succession. 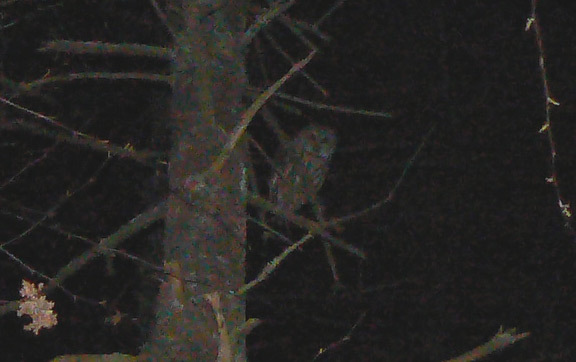 I waited and hoped for a visual but with the Barred Owl still sat right above me, there didn't seem to be much hope of the saw-whets leaving the cover of the pines and I moved on to my second plot. 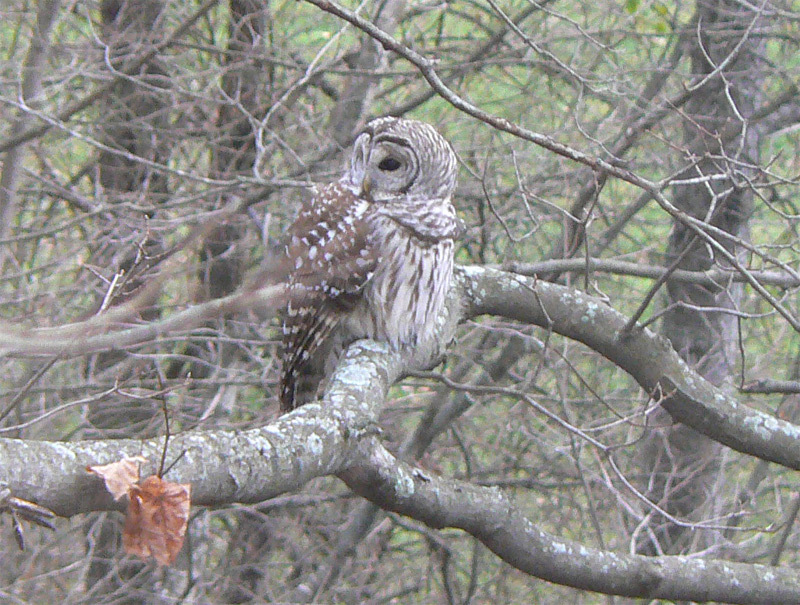 Barred Owl - Gill, Franklin Co., MA. November 6th, 2012. Panasonic Lumix FZ7. White-tailed Deer - Gill, Franklin Co., MA. November 6th, 2012. Panasonic Lumix FZ7. The second plot was about 1/2 a mile from the first, characterized by some fairly dense Eastern Hemlocks close to a stream. After about nine minutes of effort a Northern Saw-whet gave a single 'squeaky' call note but nothing more, and there was no visual. The third plot was again characterized by dense Eastern Hemlocks, and a place where I had met with success a couple of years previously. After about five minutes of trying a saw-whet gave three rich, muffled 'skew' notes delivered in rapid succession. 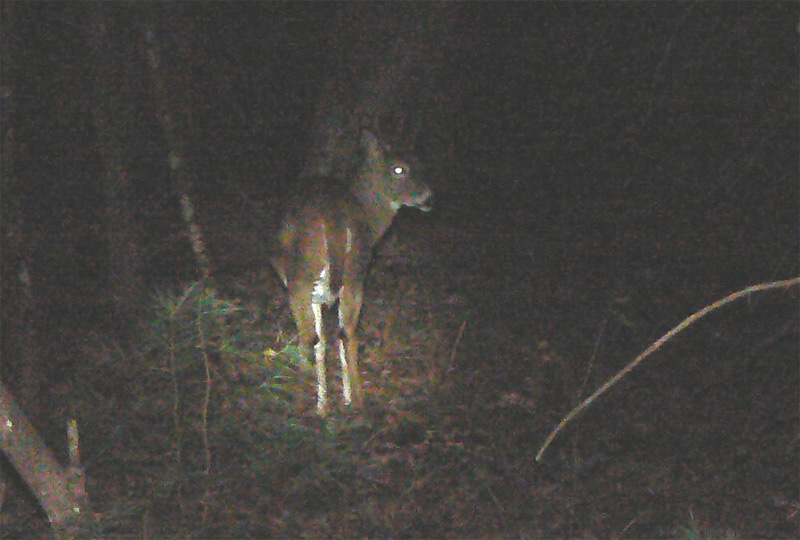 Once more I waited around hoping for a visual but as the breeze picked up there seemed to be too much movement within the forest to have a realistic chance of seeing a saw-whet. Still, I left feeling extremely pleased with such a high success rate. Back on October 31st, on the way home from Halloween festivities, I tried a spot on Bascom Road in Gill and had a superb visual of a Northern Saw-whet Owl after about five minutes of effort. This particular bird called once at the beginning of the observation but was pretty silent thereafter. It remained high in the tops and my attempts to get a picture were pretty much disastrous - I'm still trying to work out how to use 'superzoom' cameras at night! Northern Saw-whet Owl - Bascom Road, Gill, Franklin Co., MA. October 31st, 2012. Horrendous shot I know, but the bird is just taking off with the flash highlighting the leading edge of the right wing, the underside of the left wing, the underside of the body and the reflection of the left eye. The field views were, of course, much better. Panasonic Lumix FZ7. Distant Barred Owls were calling throughout this observation and as I drove away a Barred Owl flew low over Bascom Road. Elsewhere, I saw a Barred Owl at dawn on North Cross Road, Gill on November 2nd and two were calling close our house on Main Road, Gill, also November 2nd. 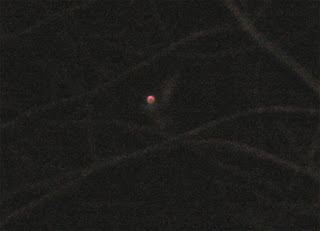 On November 3rd, I heard two Barred Owls calling at Goodell Street in Belchertown at about 4:45am. In summary, I've never experienced such a consistently good, productive period for owls in the Pioneer Valley since moving here in 2005. There's still plenty of opportunity to go out and see more before the really had weather arrives. Bonaparte's Gull - adult-type, Barton Cove, Gill, Franklin Co., MA. November 6th, 2012. Digi-scoped shot using Panasonic Lumix FZ7 hand-held against Swarovski scope. The first really cold morning of the autumn so far, a mere 18 degrees F at first light. It was crisp, clear and windless so my expectations were quite low for Barton Cove this morning. 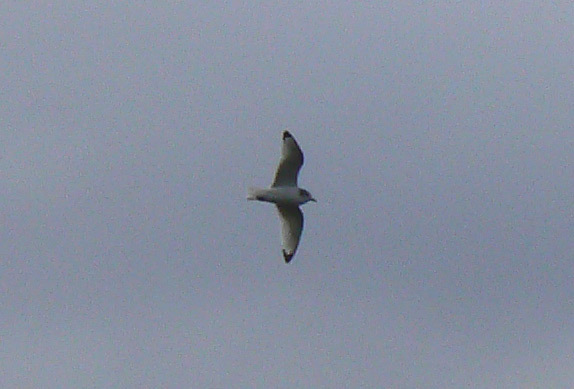 However, the day was brightened by yet another small gull of interest after yesterday's Black-legged Kittiwake. This time it was a Bonaparte's Gull which spent all of its time roosting with less than a dozen Ring-billed Gulls. I've only seen a handful of Bonaparte's at Barton Cove, both in spring and autumn and they've usually been related to storms, so again this bird could be re-orienting after Hurricane Sandy. Elsewhere on the cove, a nice flock of 11 Green-winged Teal plus singles of Greater and Lesser Scaup, 4 Ruddy Ducks, and 4 Hooded and 3 Common Mergansers. Earlier, I had huge flock of about 40 Wild Turkeys walking single file across River Road in Gill right in front of my car and took this shot through the car windscreen. MA - Black-legged Kittiwake - Gill! 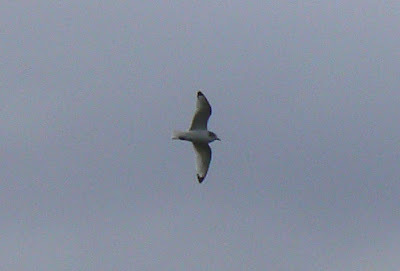 Black-legged Kittiwake - (adult), Barton Cove, Gill, Franklin Co., November 5th, 2012. Images taken using Panasonic Lumix FZ7. 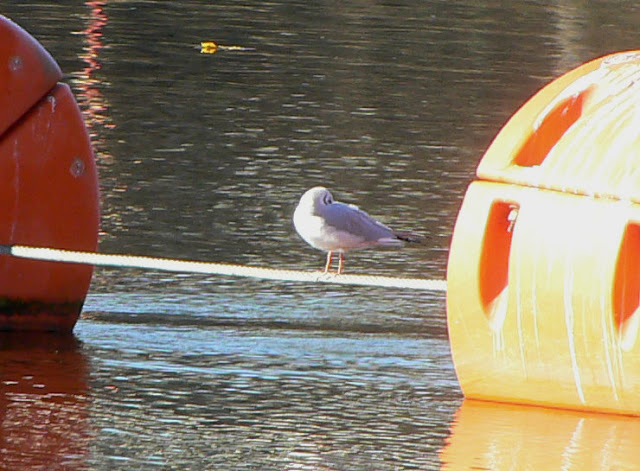 The first gull-like bird I saw this morning could have so easily been glossed over as one of the regular Ring-billed Gulls. 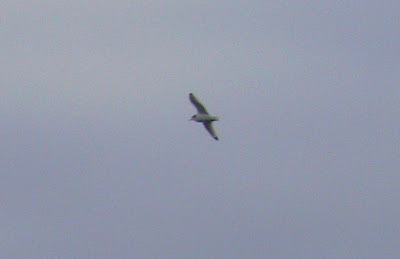 But with Hurricane Sandy still very much in mind I paid close attention to this one as it flew past and began quartering around Barton Cove. 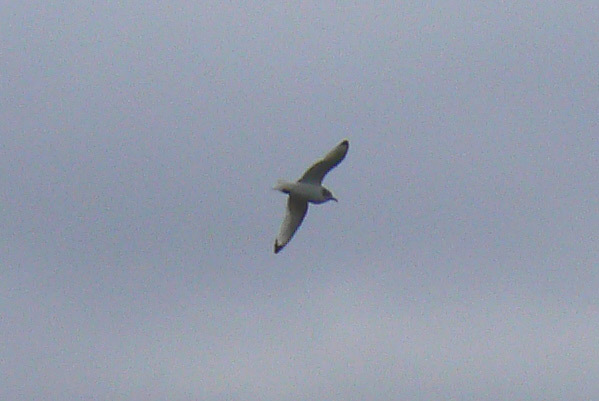 The compact shape, somewhat tern-like flight and 'inky' black wing tips pointed straight to an adult Black-legged Kittiwake! This highly pelagic species is exceedingly rare in the Pioneer Valley. 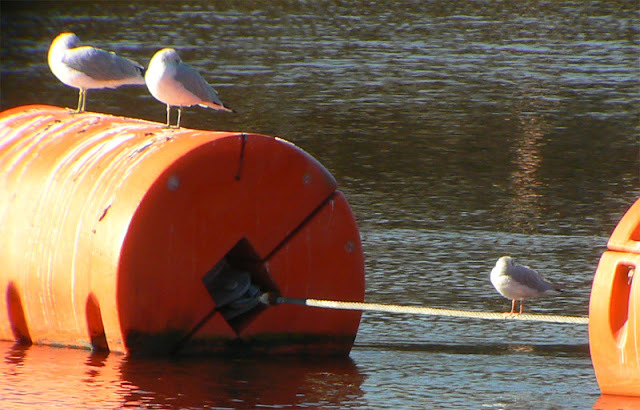 In fact, I haven't seen a Black-legged Kittiwake in "the valley" since a storm-driven incursion involving multiple birds during October 11th-15th, 2005. The bird looked relatively healthy was perhaps working its way back to the coast after last week's hurricane - but that's pure speculation of course. Clearly very rare in the interior, the two records below furnishing the 10th and 11th records for Western Massachusetts. 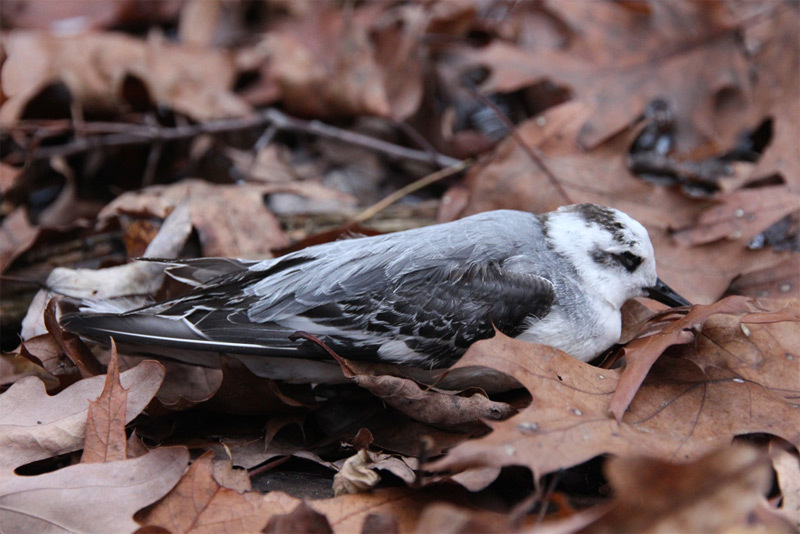 Despite going out during and immediately after Hurricane Sandy, I came up pretty empty when it came down to truly storm driven bird species. 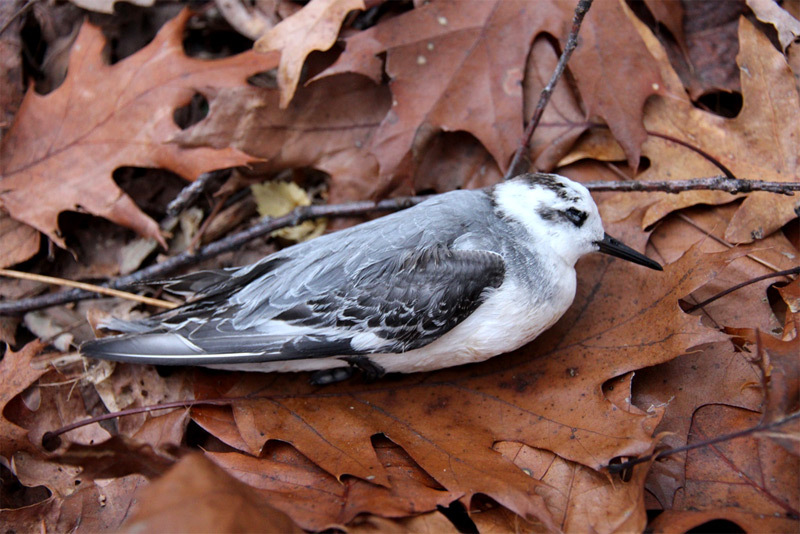 When Brian Kane called with news of a Red Phalarope at the Turner's Falls power canal on the morning of October 30th I thought my luck was beginning to change but the more he described, the more I realized I was going to have difficulty re-finding his bird. It turns out that his Red Phalarope hadn't settled and actually flew up river towards Barton Cove. Despite a thorough search of the cove about 30 minutes after Brian's sighting, I couldn't relocate the phalarope. Still, it was a fantastic record and one of only a handful to be recorded in the Pioneer Valley. 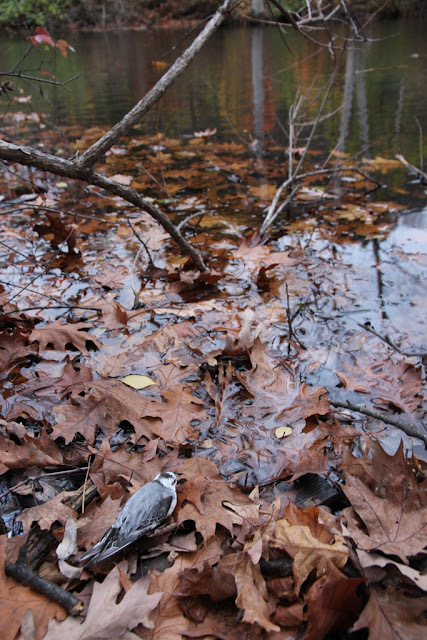 Fast forward to November 1st when Noah Charney (co-author of ﻿'Tracks and Signs of Insects and other Invertebrates - A Guide to North American Species') was out with his students on the Mount Holyoke College campus and picked a "very freshly dead" bird by the campus stream. Noah quickly circulated an image amongst his birding colleagues firmly establishing the bird's identity as a Red Phalarope, the second in the Pioneer Valley in a matter of days and a species not infrequently snarled up in hurricane activity. Red Phalarope - Mount Holyoke College campus, South Hadley, Hamsphire Co., MA. 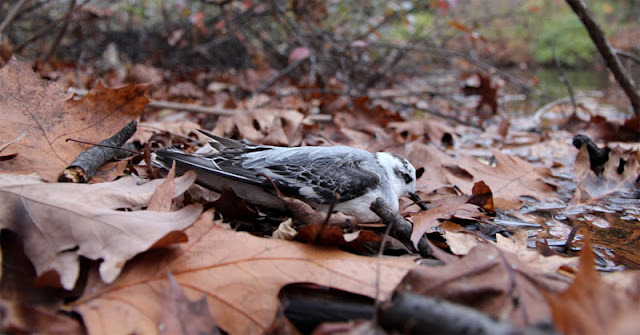 Found freshly dead at 14:00 hours, November 1st, 2012. Noah. D. Charney.